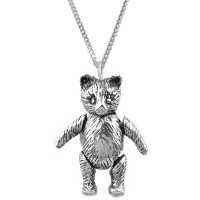 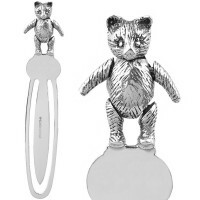 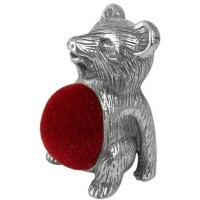 A collection of the cutest sterling silver teddy bear collectables in the UK! 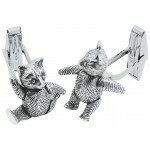 Inspired by one of designer Ari Norman's favourite soft toys as a child, Jack the Blue Teddy Bear! CU469 Ari D Norman Sterling Silver Movable Teddy Cufflinks The craftsmanship on these ster..
GT1021 Moveable Teddy Bear Bookmark Sterling Silver Ari D Norman Ari D. Norman are wo..
Our hallmarked sterling silver teddy bear pin cushion will be the perfect companion when you’re..
PT513 Moving Teddy Bear Pendant on Chain Sterling Silver Ari D Norman An adorable hallmark..